Seven sizes in one tool. All sizes allow for easy, one-handed driving. The sizes are interchangeable ensuring you have the size you need when you need it. 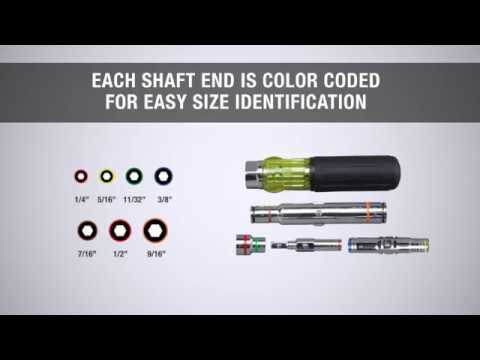 Color coded shaft ends make it easy to identify the size. Increase your productivity and lighten your load with this multi-nut driver.